Great beer takes fine water. Excellent breweries help keep that water clean. We are very pleased to announce that sales of the Woodstock Brewhouse’s new beer, North Fork Golden Ale, will go to support Friends of the North Fork’s river conservation and education efforts. Join us the evening of Thursday, February 22nd to taste the beer, toast the river, hear some great music (Jason Smith and Jimmy Utz), and thank the generous folks at Woodstock Brewhouse for this tremendous opportunity. You buy a North Fork Golden Ale (or several) at the regular price. You get great beer to enjoy. 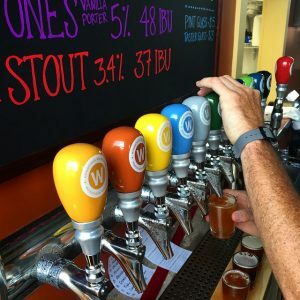 Woodstock Brewhouse gives Friends of the North Fork one dollar for each beer you bought. You get a great river to enjoy. They have a lot of great beer (and food) but we hope you’ll find the North Fork Golden Ale is your favorite.